How are you going to win in the period ahead? "How are you going to win in the period ahead?" That's the key question behind developing strategy. To win at anything worthwhile, you need a game plan. Professional sports teams know this, and this idea applies to your organization, your department, your team – and even to yourself as an individual. To be successful means knowing how to use your talent and resources to best advantage, and it's very difficult to "win" if you don't have this game plan in place. This article introduces you to a common-sense, systematic approach to strategy development. 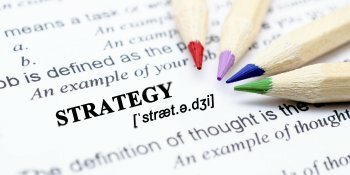 How Do You Write a Business Strategy? Analyzing the context in which you're operating. We'll look at this process, and review some useful tools that can help you develop your strategy. is a great tool for uncovering what you do well and where you have weaknesses, providing that you use it rigorously. It's much easier to achieve your objectives when your strategy uses your strengths without exposing your weaknesses.
. These highlight your unique strengths, and help you think about how you can set yourself apart from your competitors. are great starting points for analyzing your environment. They show where you have a strong position within the larger environment, and where you may have issues. As you prepare to create your strategy, make sure that you're working in a way that's aligned with changes in your operating environment, rather than working against them. These external factors are often beyond your control, so if you pursue a strategy that requires a change in one of these elements, you may have a long, exhausting, unprofitable battle ahead of you. can help you with your internal and external analysis. This framework combines everything you learned in your SWOT Analysis (TOWS is SWOT in reverse), and then applies it to developing a strategy that either maximizes strengths and opportunities, or minimizes weaknesses and threats. Your strategy defines how you'll win, and winning is typically framed by how well you satisfy your customers. For-profit companies must keep their customers and shareholders happy. Governments, nonprofits, and project teams all have other stakeholders to satisfy as well. Strategy creation must consider these needs. will help you uncover these needs and preferences. In a traditional for-profit company, you must understand how your products compare with competitors' products, and what your competitors' competencies are. How easy, or difficult, is it to enter your market? What alternatives do customers have? , meet objectives, and contribute to organizational success. In Stage 1, you developed an understanding of how your organization or team fits within the context of the internal and external environments. Now it's time to think about the different things that you could do to create a clear advantage, and meet your objectives. Here are some fundamental activities that can help you make this decision. 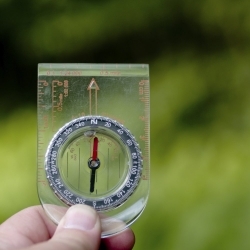 to explore projects that you could run to develop competitive advantage. Guide your brainstorming with reference to the organization's mission statement, but, depending on your role in the organization, consider how far you should be constrained by this. can give you some interesting new perspectives on these problems. By this stage, you've probably identified a range of good projects that you could run. You must now evaluate these to choose the best strategic options. Consider every option you've identified, but don't make a final judgment until you've completed your assessment. can help you spot the possible negative consequences of each option, which can be very easy to miss. Make sure that you explore these thoroughly. is particularly helpful for bringing together financial and non-financial decision criteria. It helps you weight individual decision criteria, and consider subjective features - like team fit and the likelihood of team buy-in - as well as objective, tangible factors like cost and return on investment. With your evaluation complete, you now must choose the best strategic option or strategic options, making sure that you don't choose so many options that you spread your resources too thinly. , and update these if necessary. It's easy to forget about these critical elements during strategic planning, so ensure that what you want to "win" is something that contributes towards the organization's overall purpose.
. This helps you confirm the soundness of the reasoning process used to develop your strategy. There's a lot of debate and disagreement about the best way of developing a strategy. Don't be afraid to adapt this approach to your own, specific circumstances! It's no good developing a strategy if you don't implement it successfully, and this is where many people go astray. When you’re putting your strategy in place, consider the Three Cs of Implementing Strategy – Clarify, Communicate and Cascade – that were identified by business consultant Scott Edinger in his 2012 Forbes article. Let’s look at each one in a little more detail. Use every means at your disposal to communicate your strategy to your organization, both electronically and face-to-face. Your strategy will affect everyone, so it’s vital that they understand your new focus and direction, and how it will inform their own work. Work out the “nuts and bolts” of implementing your strategy throughout the organization. Consult with managers and task them with the practicalities of applying it to their own departments, including any training requirements or process improvements that need to be made. This is how your strategy becomes reality. for ways to bridge the gap between strategy development and implementation, and our Project Management menu for more techniques you can use to implement strategy successfully. Your strategy tells you how you'll achieve success, no matter how that success is defined. And whether you're developing a strategy at the personal, team or organizational level, the process is as important as the outcome. Identify your unique capabilities, and understand how to use these to your advantage while minimizing threats. The process and tools identified above will help you identify a variety of potential strategies for success, so that you can ultimately choose the one that's right for you. What are your personal strengths, weaknesses, opportunities or threats, and what are your "core competencies"? What are you capable of achieving if you put your mind to it? What are the "big picture" trends in your environment? How can you monitor or adapt to these external factors? 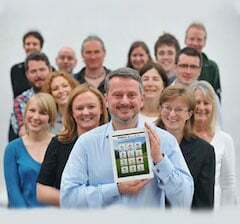 Who are the people who are important to your success (your stakeholders)? Which of these should you consider? Welcome to the Club and pleased to hear that you are enjoying our resources here and that they have contributed towards your learning for your Masters Degree. Good luck with that. Thanks as well for sharing your favorite book on strategy skills. I will pass it onto our editorial team for their consideration. We are here to help you get the most from your membership so if you have any questions, just let us know in the Forums. Plus, come join in on any of the discussions. I have been enjoying Mind Tools a lot, I can't wait to apply everything I learned here. I am a student pursuing a Masters in Public Health and Mind Tools have been one of my best teachers. I really like how some of the articles are from books, and I would like to recommend my favorite, one that helps me in my strategy skills in particular, it is "The Thinker's Toolkit" by Morgan D. Jones. Thank you for your feedback on the article and for sharing the link with us. As you have pointed out having a good strategy is a starting point. The business must well managed to effectively execute the strategic objectives.